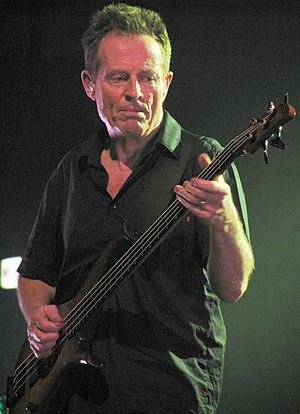 John Richard Baldwin (born 3 January 1946), better known by his stage name John Paul Jones, is an English multi-instrumentalist, songwriter, composer, arranger and record producer. 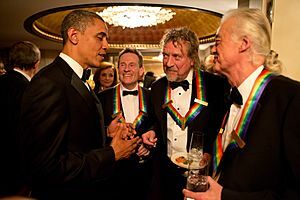 Prior to joining with his colleague Jimmy Page in 1968 to form Led Zeppelin, Jones had established himself as an accomplished session man and musical arranger, enjoying significant respect from a variety of singers, songwriters, producers, and bands. However, Jones is best known as the bassist for the band organized by Page, which included vocalist Robert Plant and drummer John Bonham, the English rock band Led Zeppelin. After the 1980 dissolution of Led Zeppelin in the wake of John Bonham's death, Jones developed a solo career and has collaborated with several other musicians across a wide variety of genres. A versatile musician, Jones also plays organ, guitar, koto, lap steel guitars, mandolin, banjo, upright bass, autoharp, violin, ukulele, sitar, cello, continuum and recorder. John started playing the Piano when he was six years old. His father, Joe Baldwin was his teacher. When he was 15 Jones joined his first band called The Deltas. In 1962 Jones joined a band called The Shadows. The Shadows had one hit song called Diamonds, which an artist named Jimmy Page had helped write. During his time as a session player, Jones often crossed paths with guitarist Jimmy Page, a fellow session veteran. In June 1966, Page joined The Yardbirds. The following winter Jones expressed to Page a desire to be part of any projects the guitarist might be planning. Later that year, The Yardbirds disbanded, leaving Page to complete previously booked Yardbirds dates in Scandinavia and find new musicians for the group. Jones, at the suggestion of his wife, asked Page about the vacant position, and the guitarist eagerly invited Jones to collaborate. Jones is widely considered to be a highly influential and important bassist, keyboardist, and arranger in the history of rock music. 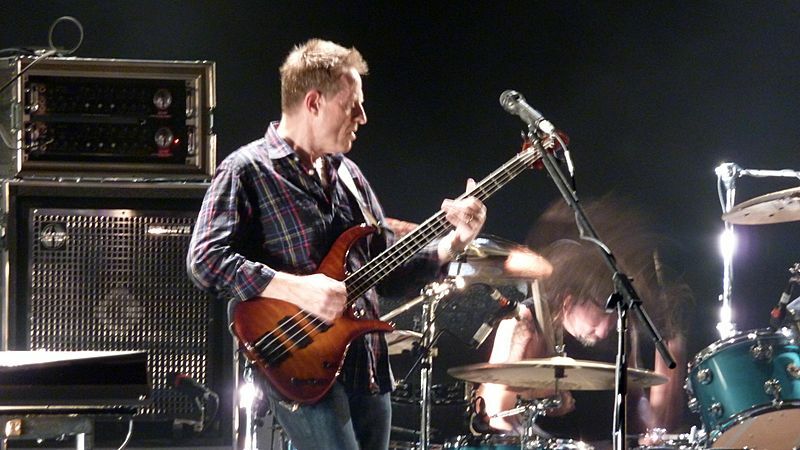 Many notable rock bassists have been influenced by Jones, including John Deacon of Queen, Tom Hamilton of Aerosmith, Geddy Lee of Rush, Steve Harris of Iron Maiden, Flea of Red Hot Chili Peppers, Gene Simmons of Kiss, and Krist Novoselic of Nirvana. 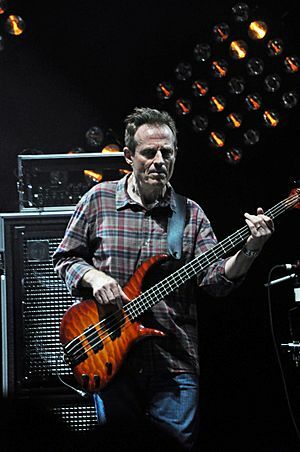 Music publications and magazines have ranked Jones among the best rock bassists of all time. He was named the best bassist on Creem Magazine's 1977 Reader Poll. In 2000, Guitar magazine ranked him third in the "Bassist of the Millennium" readers' poll. In October 2010, Jones was awarded a "Gold Badge Award" by The British Academy of Songwriters, Composers and Authors for his outstanding contribution to Britain's music and entertainment industry. On 10 November 2010, he was honoured with the "Outstanding Contribution Award" at the Marshall Classic Rock Roll of Honour Awards. Jones married his wife, Maureen, in 1967, and they have been together ever since, currently residing in West London. They have three daughters. According to The Sunday Times Rich List Jones' net worth was £40 million as of 2009[update]. John Paul Jones (musician) Facts for Kids. Kiddle Encyclopedia.